Seventeen year old Jocelyn follows clues apparently from her dead twin, Jack, in and around Seale House, the terrifying foster home where they once lived. With help from childhood friend Noah she begins to uncover the truth about Jack's death and the company that employed him and Noah. Jocelyn's twin brother Jack was the only family she had growing up in a world of foster homes, and now he's dead, and she has nothing. Then she gets a cryptic letter from 'Jason December', the code name her brother used to use when they were children at Seale House, a terrifying foster home that they believed had dark powers. Only one other person knows about Jason December. Noah, Jocelyn's childhood crush and their only real friend among the troubled children at Seale House. But when Jocelyn returns to Seale House and the city where she last saw Noah, she gets more than she bargained for. Turns out the house's powers weren't just a figment of a childish imagination. And someone is following Jocelyn. Is Jack still alive? And if he is, what kind of trouble is he in? The answer is revealed in a shocking twist that turns this story on its head and will send readers straight back to page one to read the book in a whole new light. Three weeks ago, Jocelyn lost her twin brother Jack as a result of a fatal car accident, but when a secret letter arrives from her brother's childhood alias, Jocelyn goes searching for the only other person who knows who Jason December is. Jocelyn, Jack and Noah were all brought up in the same children's orphanage Seale House, where the caretaker collected the children's payments, was under the influence and locked them in the dark cellar should they not abide by her rules. But it wasn't only the violent and disturbed residents of Seale House that the three needed to fear. Noah isn't convinced that Jack is still alive, both young men formerly working for the same Internet Security company when Jack was said to have been killed. But Jocelyn is holding out hope and returns to Seale House to find Jack's next clue. But as their journey takes them to significant locations from the elaborate clues and puzzles Jack leaves, it seems that they're not the only ones determined to find Jack. They'll need to run for their lives in a deadly game of cat and mouse, find Jack or die trying. The Vanishing was completely unexpected. I found myself immersed from the first few pages, and unable to tear myself away. It follows the story of Jocelyn, grieving the loss of her twin brother Jack who was tragically killed. Growing up in the neglectful and abusive orphanage, both relied on Noah for guidance and to keep them safe. But an incident caused Jocelyn to flee, landing the twins in a loving foster home while they lost track of Noah's whereabouts after the orphanage fire. After reconnecting, each night Jack communicated with Noah online, working within The Internet Security company and bonding over late night conversations. When Jocelyn barges back into his life, Noah reluctantly joins the search for Jack's next clue. Wavering between the thrill of the adventure and not daring to believe his friend is still alive. But with a rogue former employee on their tails, the race to decipher the clues left by Jack will put both their lives in danger. Jocelyn was a likable character, although scared, she was determined to face her childhood fears in order to find her brother, despite her own life being in danger. Noah verges on surly and hasn't seen Jocelyn since the night she fled, but allows her to bring him along on the dangerous and deadly adventure that will see them cross borders, and contact children of the former home whilst bringing the two childhood friends together again. It was thrilling, reminding me of a mild, young adult version of The Da Vinci Code. I couldn't put it down and read long into the early hours of the morning. Unlike young adult thrillers such as We Were Liars and Dangerous Girls, The Vanishing has not only the element of surprise, but the suspense will keep you on edge from cover to cover. At times the writing felt a little unpolished, but doesn't distract from the storyline. I simply loved it. Enthralling and heart stopping suspense that will last long after the final page is turned. The blurb is really intriguing, and I love mystery books, so this seems like a good book for me. It seems to me almost like the writing in the blurb is unpolished, too. I don't know...It kind of threw me off when I read the blurb, but still, I love suspenseful books. I actually thought that We Were Liars was pretty suspenseful, but if The Vanishing Game is even more suspenseful, I should enjoy it more than We Were Liars. Once you get into the storyline Ana, you barely notice it. I'm not sure if it's a deliberate style of writing, but that aspect didn't work for me. It was a really entertaining and creeper thriller. That's great that you really enjoyed this one. Even if it wasn't the best written story, it sounds like a fairly quick, suspenseful read and those are really fun! It truly was Lauren, if not a little on the creepy side as well. I had to finish it all in one night, I couldn't put it down. I haven't actually heard of either of those Zoe, so going to check them out. I think you'd really enjoy this one too. Hopefully you can pick up a copy soon. Oh, I kinda hated We Were Liars (1 star) and LOVED Dangerous Girls (5 stars!) oh wow, contrary. 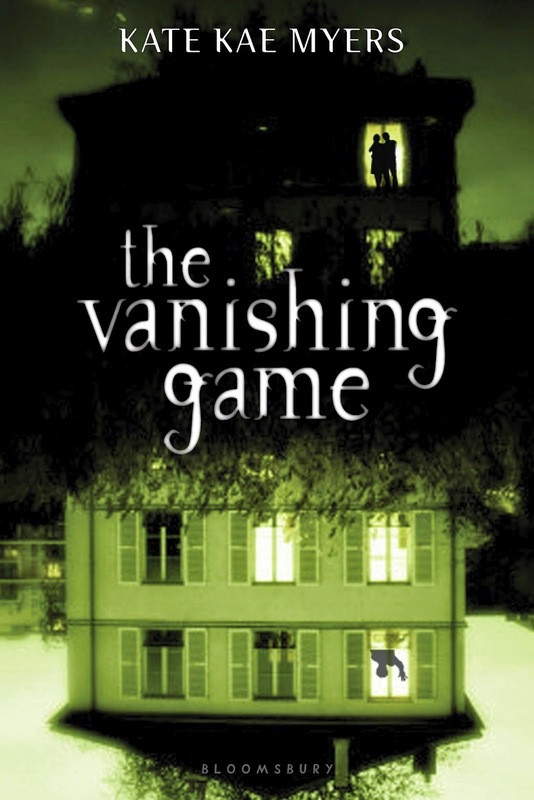 The Vanishing Game looks suspensful indeed. I think I will add it :D Haven't read The Da Vinci Code though. Does it contain romance? If it doesn't, it's okay too, would be refreshing for once :P Nice review!! The Da Vinci Code is the book that was turned into the Tom Hanks movie. Pretty good actually, but adult and no romance that I can remember. This one has a romantic sub plot, but it's not the main focus of the storyline. Awesome nonetheless though Lola. Okay, I think I'm sold. Creepy orphanages and suspense? I don't need any more information. I've been wanting to read more mystery related novels too so this sounds great! Me too. It's becoming harder to find decent ones in young adult and this does a pretty good job of filling the void. The synopsis had me pretty confused. Not really up my alley anyways, but yet again: a fantastic review! Thanks Alyssa. I can imagine this one wouldn't be for everyone, especially if you navigate towards the lighter reads. Still worth giving it a go if a copy landed in your possession. I hadn't either until Bloomsbury sent me a copy, otherwise this I may not have noticed this one. It was really unexpected though, the synopsis sounded a bit muddled to me and I wasn't sure I'd enjoy it. Ended up loving it! YOU'RE KIDDING ME RIGHT??? "young adult version of The Da Vinci Code" THAT MEANS EVERYTHING TO ME??? WHAT IS THIS BOOK, I NEED IT ASAP. And LOOK AT THAT. You're reading Ensnared ;) I have no time but I did crack my copy to the back and spoiled the end for myself (otherwise I would have lost sleep haha). Now I just need some time to go back to actually read it. The ending was a little obscure, but the rest was absolutely incredible Jess. This was one that I'd judged by the cover before cracking it open, but I was completely enthralled. I'm not sure if this is going to work for me, but this definitely has me intrigued. I'll definitely be on the lookout for this, because I really want to see what all the mystery and suspense will leave me with. Great review, Kelly! Thanks Naban. It's creepy, but I wouldn't class it as horror and I think it'll appeal to the wider audience too. Just super entertaining. I totally judged this by it's cover, but so glad I took a chance. It surprised me and I think you'd really enjoy it too Joy. Surprise and suspense, my dear? You have just said the magic words I've wanted to hear! ...oh, bloody hell, that actually rhymed! O_O Only you Kelly can give me a dime! .... okay now that sounds weird. HAHA! Sorry for my silliness, let us forget about that... Just so you know, you totally convinced me to read this book. Adding it to my TBR! That was very Dr Seuss of you Faye, an now I'm trying to resist the urge to rhyme my replies like a bad white rapper. Ice ice Diva. I loved the creep factor in this one, just enough to make you desperately need to flip the pages, without making you scared to go to the toilet alone. Incredibly entertaining as well. Oooh you compared it to The Davinci Code, I loved that book and I like the sound of them uncovering mysteries. This book sounds super creepy and I need to find the right time to read it lol. Great review Kelly! I love suspense! I scare myself all the time. Yeah I know there's something wrong with me. I don't how this one bypassed me but thanks Kelly! Great review!!! So happy you liked this one! I'm really excited to read this now, I wasn't sure what to expect when I first got it, but now I cannot wait. Great review!